Caavo wants to be the one set-top box to rule them all, but will the major players stand for it? One of the greatest pains in the life of a cord cutter is you can’t get all the premium video services you want in a single box. For example, if you’re invested in the Apple TV ecosystem but also want to watch The Grand Tour with your Amazon Prime subscription, you're out of luck—Amazon’s video service is not on Apple TV. 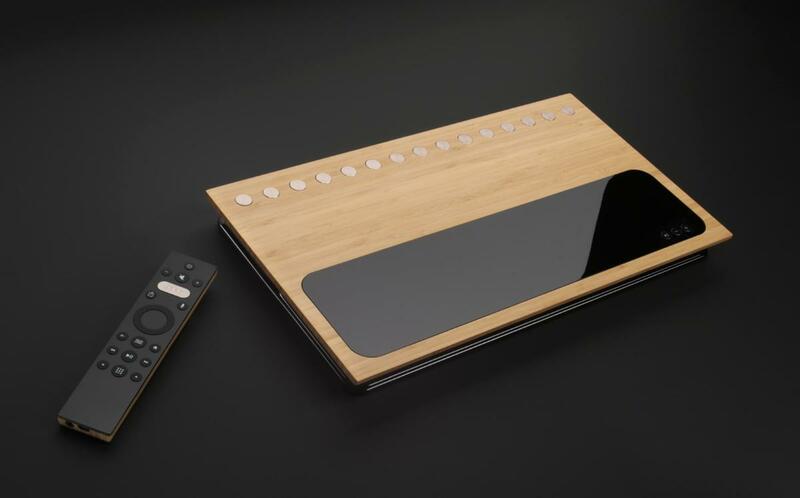 A new start-up named Caavo thinks it has a solution for all your set-top box woes... and it’s another set-top box. Well, that’s a little unfair. It’s really a fancier, more intelligent video input switcher, but even that doesn’t quite capture what the $400—yes, $400—Caavo aims to do. The box made its debut at the Recode conference, as first reported by The Verge. The Caavo features enough HDMI ports to connect almost every set-top gizmo that even the most exuberant A/V fan would have. (The box will work with a wide range of set-top boxes and sticks including Apple TV, Chromecast, Fire TV, Roku, cable boxes, game consoles, and Blu-ray players.) Then the box's software deep-links to the content inside each of those individually connected boxes, and pulls them all together in Caavo’s basic interface. The end result: You can access iTunes movies and Amazon Video from the same screen. You still have to have the original boxes, but instead of switching between HDMI ports, Caavo puts all your inputs onto one screen, controlled by a single remote. The box itself offers eight HDMI ports, two USB ports, an ethernet jack, and a 3.5mm jack for an IR extension cable. The footprint is fairly large at 16 inches wide, and the Caavo weighs in at four pounds. It features a steel bottom for stability and a wood top in either bamboo, mahogany, and tiger wood. Caavo will have an Alexa skill allowing you to control the device from your Amazon smart speaker, and will also ship with its own voice control-enabled remote. The story behind the story: Caavo is a somewhat simple but effective idea for anyone with a growing set-top box collection. It’s not clear, however, what set-top box makers will think of it. The major technology companies are currently battling it out to dominate the living room with their various set-top boxes, services, and HDMI sticks. They may not take kindly to a third party that effectively turns each set-top box into a white label service. Then again, the set-top box makers may not be too concerned about Caavo at first as this is definitely going to be a niche product. Again, when it ships this fall Caavo will be priced at $400. Caavo told The Verge its price is “premium but approachable” for those motivated to get a single TV experience from a multitude of set-top boxes.